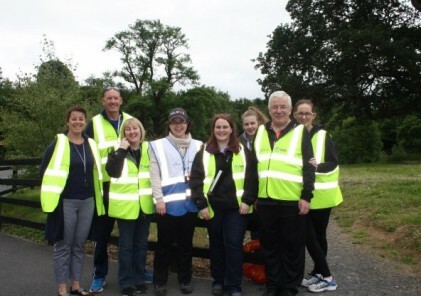 I attended Malahide parkrun some years back and had a great experience. From then, I wished we had one in Ballymun and strangely enough the opportunity presented itself through a conversation myself and work colleague Jimmy Bell had about parkrun with Robert Murphy, who is also heavily involved in positive initiative’s in the Ballymun Community and wanting the same for the community. We applied to the council and were successful, so I guess I’m with Poppintree parkrun since the very start. I love that it’s a free event, regardless of a person’s ability they can get involved at many levels. It’s inclusive of all, it’s a great social outlet and it’s so much fun. It’s also a simple process, all you need is an email address and you’re in business. I love that at the same time every Saturday morning, people from all over the world are running at the same time as you and that you can attend any parkrun anywhere. I love that there are great incentives and milestones to help keep people motivated. You can run, walk or jog your way to better physical and mental health. It really is amazing. For me, it’s an achievement to be part of the success here at Poppintree parkrun and we are four years running since October this year. 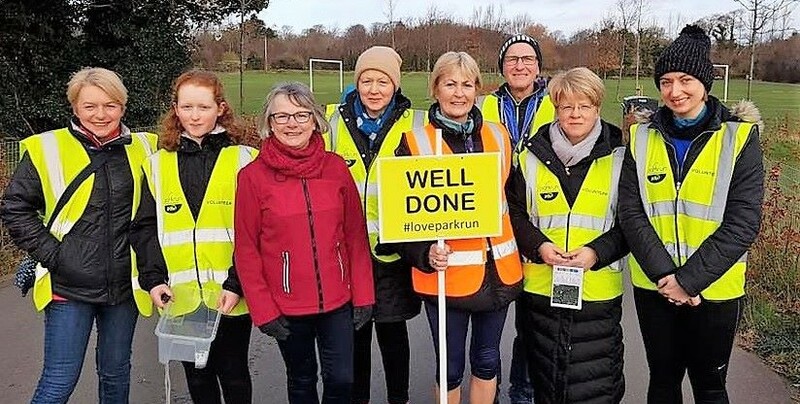 To be part of a great core team who volunteer each week and only want the best for all parkrunners is a joy. As a father of three children, parkrun has helped us all to be more active together during the week, I have become a positive role model to them and hopefully it will impact positively on them as they grow. I don’t run as many runs as others do, as I usually take on a volunteer role, run director or time keeper mostly. I run when everybody has left and my son accompanies me for a few miles. He is definitely my running buddy and hero. I love Christmas time and every year we have a Santa dash, everybody dresses up and it’s great to experience, the joy and friendship that people being to our parkrun is simply amazing. What was the funniest parkrun moment? We have a big beautiful pond here at Poppintree park with lots of different wildlife. We have the start/finish area located by the pond. One sunny Saturday there were two swans in the middle of the pathway that the parkrunners had to use. I went over and tried to encourage the swans to move into the pond when suddenly they turned on me and started chasing me down the pathway. It’s a good job I can move, everybody was in stitches laughing at me running away. It’s my funniest moment so far. The best advice I can give is find your nearest parkrun and just go. Walk, jog or run as fast or as slow as you want. Do a mile, do two miles or do the three. You will surprise yourself and you will come back for more. Set yourself small goals which will become big achievements. Use parkrun to help you to become both physically and mentally stronger.